Case Clicker has been a surprisingly popular game in the last couple of weeks. That said, you should beware of imitations and only download the Hawk title if you want the real thing. This iOS and Android game is not to be confused with a FPS game despite its numerous references to Counter-Strike, though it does boast of some of that classic game’s mechanics. 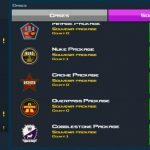 Basically, all you’ve got to do here is to “click, buy keys, and open cases” as you sort through arms contracts, complete achievements, climb up in rank, and obtain all those skins, stickers, and souvenirs. Once again, this game is not Counter-Strike or something even very similar to it, but you’ll probably be hooked the moment you start playing. 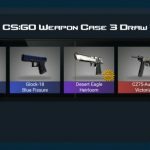 This game isn’t all tapping on your display – tapping to open cases and claim weapons, tapping to earn more cash, you name it. There is a lot of strategy involved in here, and in the last two weeks we shared a good number of general strategies, tips on how to obtain rare cases and skins, as well as hints on how to get souvenirs, autographs and sticker capsules . 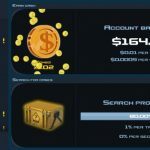 But in the best interests of summarizing those strategies and adding a few new ones, we’ve got a longer list of Case Clicker tips, hints and guide for anyone looking to achieve some real success in the game. We really wouldn’t call them combos in the truest sense, but you will want to make use of them to really multiply the money that you make. You can tap on the money side, and keep doing so quickly; at first, it’s only going to increase by fractions, i.e. 1.01 to 1.02, 1.02 to 1.03 and so on, but as you keep tapping and tapping and tapping, you could see it go as high as 5x, or even far beyond that. Tap “combos” are fine, but they’re going to be ultimately worthless for you if you don’t upgrade your tap value. This can be done by going to the upgrade store, and once your taps are upgraded, the value will be added to the multipliers that you receive. You can also upgrade the speed in which the above mentioned “combos” increase in value. Additionally, you can upgrade your store rank if you’re done unlocking item, upgrading combos, and more. Once you upgrade your store rank, you can get more unlockable items. Gaining experience levels will also give you a similar outcome – more items in the store. When you start playing Case Clicker, you may have to resign yourself to worthless cases for a short while. But don’t settle for that for too long; head to the upgrade store and buy yourself some case upgrades. Doing this will add more cases to the roulette, and these cases will be much more useful, with better weapons, than the common ones you get to start. Missions are usually easy, but in any case, you will only be able to complete one at a time. 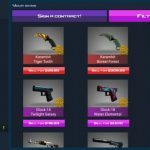 Examples of missions include opening a certain number of cases, tapping on the money side so many times, buying a specific number of sticker cases, and more. You’ll earn XP for completing the missions, thus allowing you to gain more levels. One basic thing you should know about this game is the rarity scale for the weapons and other stuff such as stickers, autographs, and more. Blue is lowest, making it the most common, then it goes up to purple, red, and so on until you reach the highest rarity tier. Weapons at this tier are naturally the most valuable in most cases, but take note that we said “most.” A rare weapon in poor condition won’t sell for a lot, while even blue weapons in mint condition could earn you much more money than usual. Even if it’s just for a couple minutes, there are some benefits to playing Case Clicker every day. Check the daily reward and collect it – that’ll give you a free weapon, meaning you don’t have to shell out money for keys that can open the cases. You can also hold on to your daily reward, in hopes of getting bigger ones for signing a weapons deal. If you see an exclamation point next to a menu screen item, you can collect from the achievements . Otherwise, you can check what you haven’t completed and work on them ASAP. There’s a bit of a twist to watching the customary ad videos that mobile games typically allow you to do. You have three options when you do so, all of which could give you bonuses. One is choosing a free opened case that doesn’t need a key. The seconds lets you skip your current mission. Lastly, you can get a 45-second 2x tap bonus each time you watch the ad. There’s no need to spend $2.50 to buy a key to open a case – you can opt to sell the case, especially if it’s one of those starter cases that aren’t worth a damn in the grand scheme of things. The only time you should buy keys is if you’ve got a rare case. Tap on the case menu and go to the right and you’ll find the souvenir package, sticker, and autograph areas. These souvenir packages will let you buy more weapons instead of tapping frantically to unlock them. Cheap weapons are best used for arms contracts. Sticker capsules, on the other hand, let you buy a random sticker that may or may not be rare and expensive in the same way that your weapons are. Lastly, autographs are great for easy money, as they almost always sell for a greater amount of money than what you spent to buy them. Unlocking a weapons contract, which can be done by gaining levels, lets you trade ten weapons for a higher-rarity weapon. Offer your cheapest weapons of a certain rarity for trade, and don’t give away the good ones, the ones whose value has some monetary significance. Specifically, you want to trade the ones valued at $0.20 or less. If you’ve got a mission where you have to find skins of any given rarity, your best bet is to buy rare sticker capsules, or to complete weapons contracts with the rarity level immediately below. You can also stock up on blue rarity weapons and keep upgrading them with your contracts. Simply leave your phone on and turn off the option for your phone to lock automatically. That will allow you to earn money as long as your phone doesn’t lock; this tip is best used when you’re done playing for the day and ready to head off to bed.